Happy Monday everyone! I wanted to start featuring products that I have been testing out recently, or products that I already love. And this one definitely makes the cut. 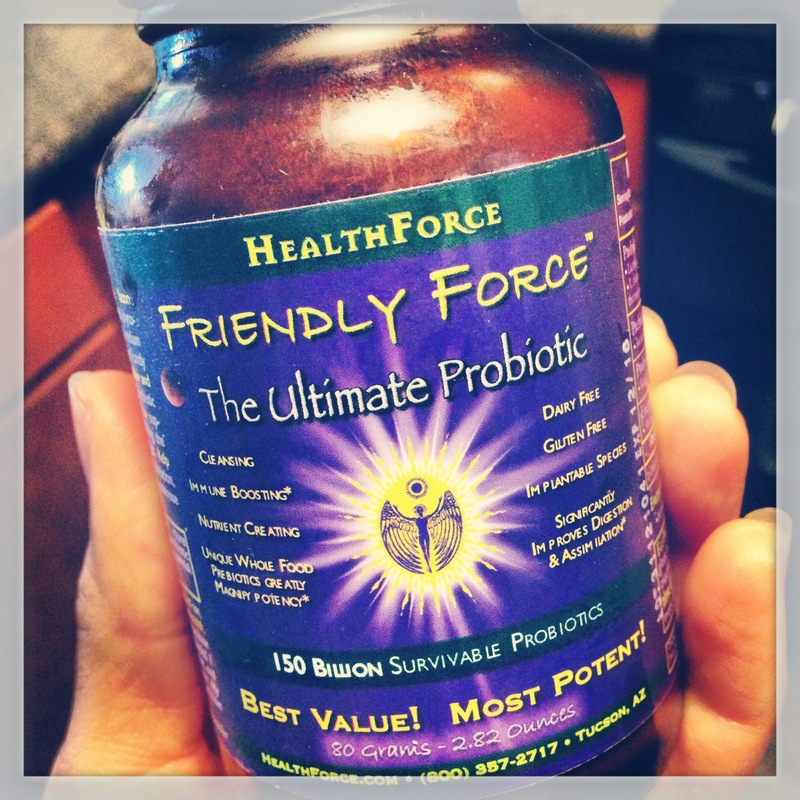 Friendly Force is a high quality probiotic powder made by HealthForce. I’m almost finished with my second bottle, and I really like it! I keep it in the fridge and mix a teaspoon and a half into my daily green juice. As you may already know, probiotics are healthy bacteria that are extremely important for a healthy digestive system. I don’t take many supplements, but this is one of them. I usually switch between Dr. Ohhira’s capsule and Ascended Health’s ProAlive drops. It’s always nice to try different things and see if there are any noticeable changes. When choosing a probiotic, make sure it’s a high quality one though. Many on the market these days don’t actually make it to the gut- where they need to be! So if you want to experiment with different ones, I suggest doing a little research so you don’t end up wasting your time and money. Have you tried this product before? Are there any other probiotics that you like? This entry was posted in Lifestyle, Products and tagged lifestyle, recommended products. Bookmark the permalink.